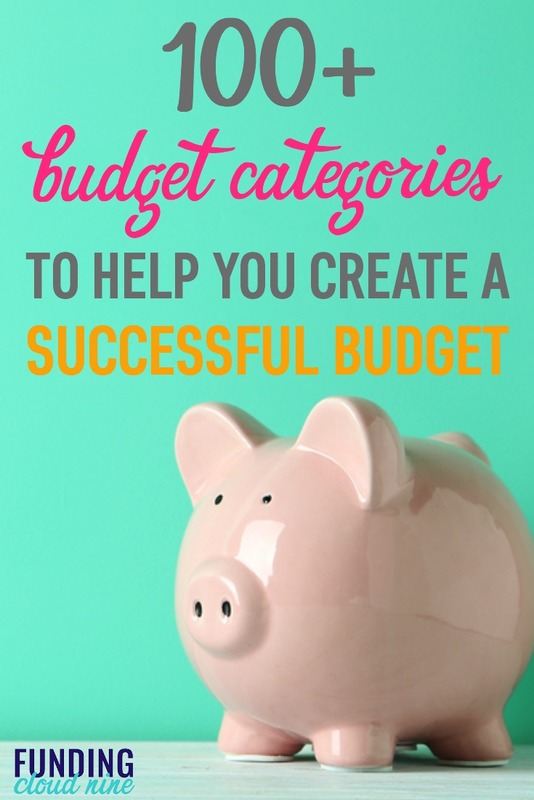 Check out this list of over 100 budget categories! These budget categories will help you create a successful budget tailored towards your lifestyle. Creating a budget is critical for financial success. However, accounting for all the budget categories can be difficult. A missed or forgotten budget category can derail your financial goals. So let’s get you started on the right foot. Here is a list of over 100 budget categories to help you create (or improve) your budget. Select the budget categories that align with your lifestyle and spending habits. If you are looking for a customizable budget worksheet, just enter your email in the box below. You’ll get three worksheets over three days that will improve your financial life. How Many Budget Categories Do You Need? Did I overwhelm you with over 100 budget categories? I don’t blame you. The thing about budgeting is that it’s highly personal. You can be as simple or complex as you want. If you want to keep it simple, you can put some of the smaller budget categories into a larger umbrella budget category. You have to find what works for you. I know from experience that it will take some trial and error. You aren’t going to create a perfect budget the first time. It will take some tweaking, simplifying (or making more detailed), and patience. How much do you allot for each budget category? Now that you have chosen the budget categories that suit your lifestyle, you now must determine how much money you are going to allot to each category. I suggest that you look at your previous spending history. Take the average of the last 3 or 4 months for that spending category and start there. After each month, evaluate your spending and decide if you need to increase or decrease your budgeted amount. If you need more guidance on how to create a budget, I suggest checking out my post on How to Start a Budget That Actually Works (it’s basically Budgeting 101). How complex is your budget? Do you keep it simple (few budget categories) or detailed (lots of budget categories)? I’m going to add Pet Insurance to mine. Thank you so much!! I feel like I can really make a realistic budget now! I can also share this with my dd who is a new to the adulting world. You’re welcome! It is such a great idea to share with your dd – you are going to set her up for success!